The earth was born out of a high energy impact on Jupiter, which initiated a nuclear fusion fireball thousands of times the size of the giant planet itself. We are here today because that event occurred about 4 billion years ago. We know about it because many beings on Earth observed and recorded the similar birth of proto-Venus only 6,000 years ago. In fact, this is the process by which all terrestrial planets are born. Not only does this observed impact prove that Jupiter is a solid planet, but also that it incorporates essentially all the heavy elements present in the nascent solar system. Although Saturn is also an MGH planet, its low density (0.7) as compared to Jupiter’s (1.33) indicates that Jupiter incorporated essentially all the heavy elements in the nascent solar system. The magnitude of the fireball that contracted to become proto-Venus* was so great that the Rig Veda described its shape as that of an elephant (Mrttnda). This implies the impact of a large body into the unlimited hydrogen (and deuterium) present in the body of Jupiter resulted in an enormous nuclear fusion explosion which exponentially magnified its energy. Moreover, a very gradually diminishing fusion furnace in the crater, manifested as a flaming jet of hot gases, formed the Galilean moons, the main belt asteroids and the trans-Neptunian objects over the last 6,000 years. Although the mass ejection recently ceased, as evidenced by the termination of the slowing of Jupiter’s rotation (~1930), currently interpreted as a monotonic ‘drift’ of the GRS, the continuing heat generation is still driving the Jupiter’s temperature excess, the Great Red Spot, the multiple zonal wind bands and the continuing presence of methane. The point source of the driving energy, in the otherwise solid frozen planet, is disguised by the large mass of heavy elements rising from the crater, cooling, forming compounds and crystals before reaching the cloud-tops, thereby creating a ‘heat-blanket’ of colored but unidentifiable material. NASA has launched a new probe, Juno, toward Jupiter, because its Galileo and Cassini missions have not given the answers ‘hoped’ to support the gas giant hypothesis. The probe will be placed in a highly eccentric orbit which will allow it to fly between the cloud-tops and the inner radiation belt as close as possible to the surface from pole to pole on one side of the planet, during each orbit, making it possible to cover the entire planet in 33 orbits. The long wavelength radiometer will likely get a very low signal from the MGH surface because it is very cold. The really exciting find will come when Juno passes close to the Venus crater, because a continuing fusion reaction is still burning within it. All the radiometer signals will spike at about 22 degrees South Latitude and considerably East of the Great Red Spot because the rapid eastward rotation of the planet (1 revoluion per 9.9 hours) ‘drags’ the column of gases rising from the crater to the West. The Juno sensors will also undoubtedly detect this rising column of hot gases originating in the crater, extending and cooling with altitude to the Great Red Spot. The horizontal component of the rapidly spinning rising column induces oppositely spinning wind bands to its north and south, and these induce tertiary bands, etc. which form the multiple zonal wind bands that encircle the entire planet. At the same time the microwave signals spike, a relatively abrupt change in the velocity of the probe, used to detect gravitational anomalies, will hopefully be detected, indicating the mass void of the proto-Venus crater itself. The Doppler change in the X and Ka bands associated with this hot crater should be carefully measured and used to detect ancient craters resulting from the creation of older planets (see below). 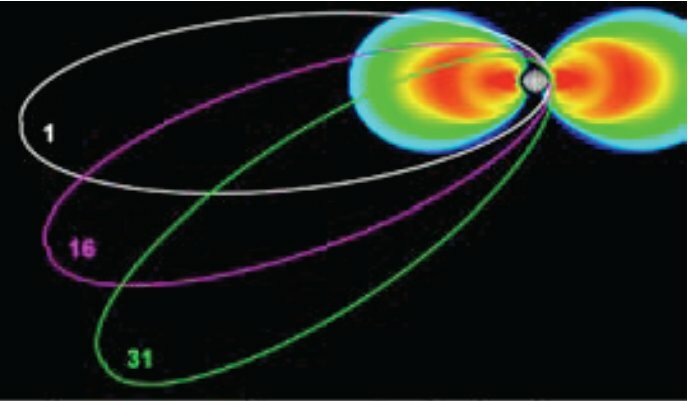 It would be wise for Juno mission planners to allocate time for additional orbits once the hot Venus crater is localized, in order to fly directly over it, because the planned orbits are displaced by some 12 degrees Longitude. Although no longer hot, the enormous birth craters of priori-Mars (Mars + Mercury its former solid core) and the Earth should also be observable as mass voids (craters) on the surface, due to slight changes in Juno’s orbital velocity similar to those over the hot Venus crater. Since the Earth is more massive than was priori-Mars, it should be possible to determine which of the cold craters is the birth place of our Earth. A much smaller cold impact crater may also be found, from which the Moon rebounded. It is difficult to imagine how NASA scientists might manage to misinterpret this data, but because the entire ‘community’ is convinced, to a man, that Jupiter is a hydrogen ‘gas giant’ and consequently that the GRS is a ‘storm’, the danger still exists. 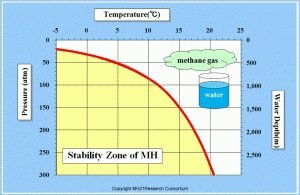 I suspect the ‘anomalous data’ discussed herein will be secreted from the public while they search for an explanation consistent with the gas giant hypothesis -[ perhaps another whopper from MacLow who’s ‘plume impact’ hypothesis explained-away the 6-plus minute delays in the larger S-L 9 main events]. I am forwarding this blog post to the NASA principal investigators at the date of its publication in order to reestablish provenance of the ideas herein, which I originally published over ten years ago, and to forewarn them as to what signals to expect . Unfortunately, we all have to wait until 2016 before the probe reaches its target and another year for the actual data collection. As always, kudo’s to the entire NASA engineer staff, who have done spectacular jobs on mission after mission. The only failing comes in the preconceived notions of the scientists that interpret the data. All the data from earlier space probes is good but will have to be reinterpreted once the true nature of Jupiter and Venus is revealed. The entire sequence of events which led to the birth of Venus (Athena) is clearly told in Greek myth, even down to the detail that gravitational radiation from the impact caused the Earth (Gaia) to tremble. In the story of Athena’s (Venus) birth, Zeus (Jupiter) lay with Metis, the goddess of crafty thought and wisdom (an invisible impacting body), but he immediately feared the consequences. It had been prophesied that Metis would bear children more powerful than the sire, even Zeus himself. In order to forestall these dire consequences, Zeus (Jupiter) “swallowed her down all of a sudden.” But he immediately experienced an enormous headache, so Hephaestus (a god of fire), cleaved Zeus’s head with an axe. Athena (Venus) leaped from Zeus’ (Jupiter’s) head, fully grown and armed, with a shout — and pealed to the broad sky her clarion cry of war. And Mother Gaia (Earth) trembled. What is but one, the wise call (by) manifolds (names). *Venus it is not yet completly formed because it remains too hot for its oceans, still floating invisibly in the inner solar system as ice particles, to settle onto its surface. ~ by Angiras on August 18, 2012.